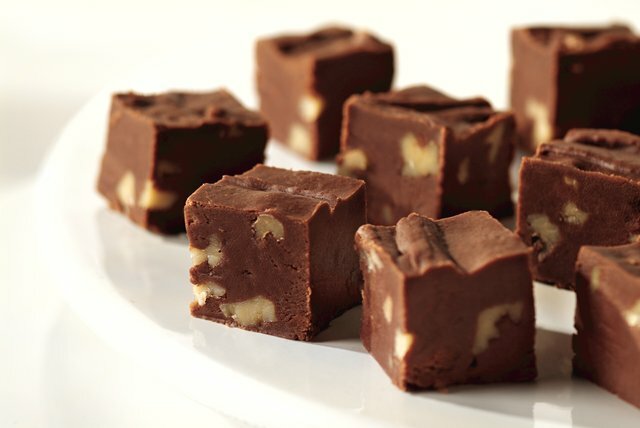 Delight your taste buds with this amazing Fantasy Fudge. This Fantasy Fudge is a classic marshmallow fudge that gets its chocolatey, nutty goodness from BAKER'S Semi-Sweet Chocolate and PLANTERS Walnuts. Line 9-inch square pan with Reynolds Wrap® Aluminum Foil, with ends of foil extending over sides. Bring sugar, butter and evaporated milk to full rolling boil in 3-qt. saucepan on medium heat, stirring constantly. Cook 4 min. or until candy thermometer reaches 234°F, stirring constantly. Remove from heat.